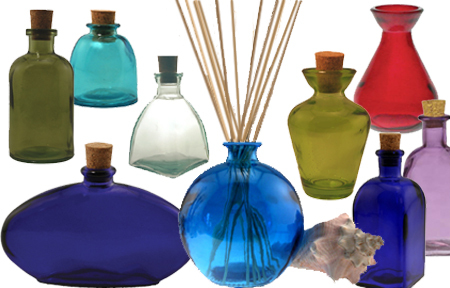 What’s Special about our Premium Recycled Glass Reed Diffuser Bottles? Many of our beautiful Recycled Glass Bottles and Vases have been created exclusively for us and are available from no other source. You’ll immediately notice how superior these bottles are to inferior copies that might look like ours on your computer screen- but fail miserably in reality due to glass imperfections and inconsistency. ALL of our glass is Recycled 100% Made in Spain for the highest level of European glass craftsmanship. Shop Online Now and see all of our selections. 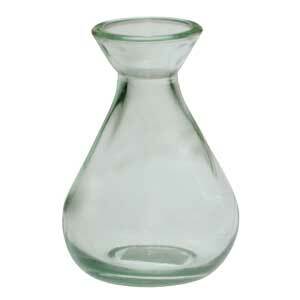 Our Clear Teardrop is no surprise at #1 because its shape naturally spreads out the reed in a bouquet while the clear recycled glass goes with every decor. The 8 oz. 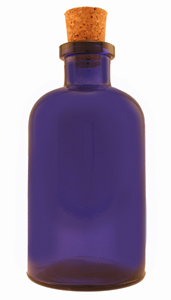 Cobalt Blue Apothecary is a huge hit that combines its traditional shape with brilliant opaque glass in the most amazing shade of blue. 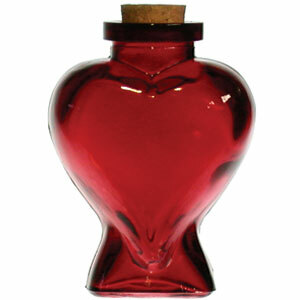 Red Heart bottle is a brilliant color of red that cheers up any setting, a smooth, molded shape and transparent recycled glass.